We can help you form, amend, change, merge, qualify or dissolve. We can file your UCCs, designations, and trademark or servicemark applications. Just call 1-800-832-1220 and ask us for the details! 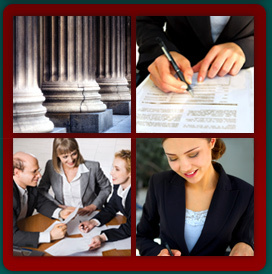 We specialize in New York, Delaware and New Jersey, but can assist you with filings in any state. Usual turn-around is 24-48 hours from the time the certificate is received in the filing jurisdiction. Name Reservation - If you are not ready, but want the name, reserve it! Business Corporation - If you have your document ready, fax it to us at 518-434-2574 and let us know if you want a certified copy back and/or a corporate kit for that new business. If you want us to prepare and file the document for you, CLICK HERE for a New York, Delaware or New Jersey corporation. Not-for-Profit Corporation - You must have at least three initial directors including the street addresses. In addition, you need specific purposes. Depending on what your purposes are, you may need to obtain the consent from an authority prior to filing with the Department of State. If you have the document ready, fax it to us at 518-434-2574. If you need more information or the form, call us at 1-800-832-1220. Professional Corporation - If you are an attorney, you will need a good standing certificate from the Appellate Division to which you were admitted to practice law. If you are forming for a different profession, we may need to obtain consent from the licensing authority. Limited Liability Company - Please do not ask us which is better, an LLC or an INC.? That is a question best answered by your accountant and/or attorney and depends on your specific circumstances. We simply could not know which would be in your best interest. We DO know that when you form an LLC, you will be required to publish legal notices. Call us at 1-800-832-1220 for more details. Limited Partnership - Need to check availability. You will be required to publish legal notices. Registered Limited Liability Partnership - Would not need consent nor would you need to check name availability. Assumed Name (DBA) - For entities that want to do business using a different (shorter? more descriptive?) name, e.g., D & D Enterprises, Inc. d/b/a Donuts & Drivel. TradeMark and ServiceMark - If you have a specific logo or catchy phrase to advertise your goods or services and you want to protect it, file it with the State. If you plan to go bigger, i.e. national, call us for information about registering your idea/artwork at the Patent and Trademark Office in Washington, D.C.